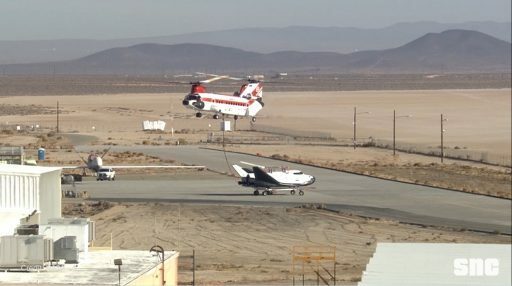 Sierra Nevada’s Dream Chaser mastered a critical Approach-to-Landing Test this weekend at California’s Edwards Air Force Base, coming four years after a similar test ended up with the winged space plane somersaulting into the desert sand due to one of two main landing gear failing to deploy. 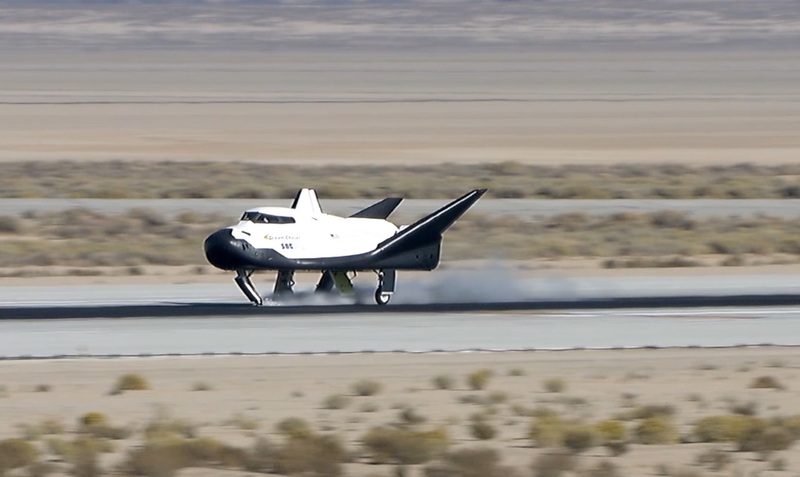 Company video released on Monday shows the mini Space Shuttle making its way toward the runway straight as an arrow, flare up its nose and make gentle contact with the runway before rolling out to mark a major step on a path to the craft’s first flight in 2020. 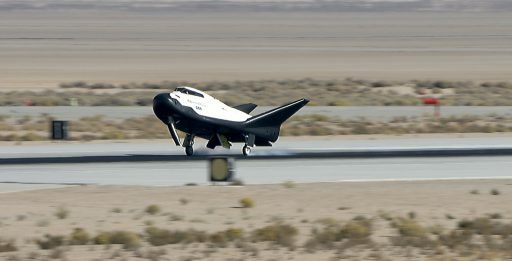 Taken to altitude by a heavy-duty helicopter, the unpiloted Dream Chaser was dropped into an initial steep descent to build up speed before entering a glide path towards Runway 22L at Edwards, putting the craft’s aerodynamic abilities and fully automated guidance and control systems to the test in the actual flight environment. Dream Chaser aligned itself with the centerline of the runway and made a smooth landing on the very same runway that returning Space Shuttles once used. First revealed on the drawing board in 2007, Dream Chaser now looks at nearly a decade of hardware development and testing, reaching readiness for its first Approach and Landing Test in 2013 as the final stage of a testing campaign that began with simple tow tests on the runway followed by more complex aerodynamic evaluations during captive carry tests. 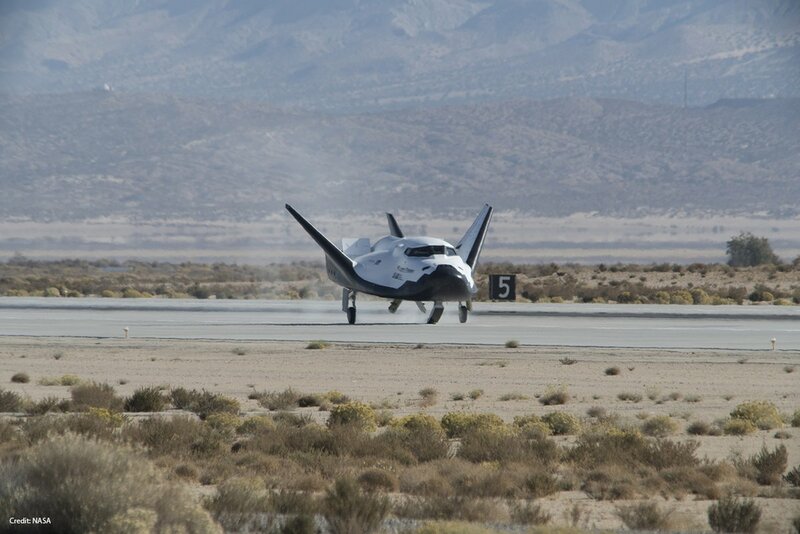 Flying freely for the first time on October 26, 2013, Dream Chaser showed similarly stellar performance in lining itself up for a smooth approach to the runway, but ran into trouble during landing gear deployment. The craft’s nose skid deployed as planned but only one of the two main gear reached the extended position. Back then, the main gear was a non-flight-like item and had been borrowed from the Tiger fighter jet since the actual flight hardware was not ready yet. Dream Chaser managed to touch down and balance on the lone gear for some time before its bodywork eventually made contact with the ground and the craft skidded off the runway, eventually coming to rest after flipping over. NASA and Sierra Nevada deemed Approach and Landing Test #1 (ALT-1) a success despite the botched landing since all objectives outlined for the test were met under NASA’s Commercial Crew Development Program which SNC was still part of at the time. The failure had the unexpected benefit of demonstrating Dream Chaser’s robustness since the Engineering Test Article (ETA) received only cosmetic damage during its sandy somersault which was deemed easily survivable by a crew. 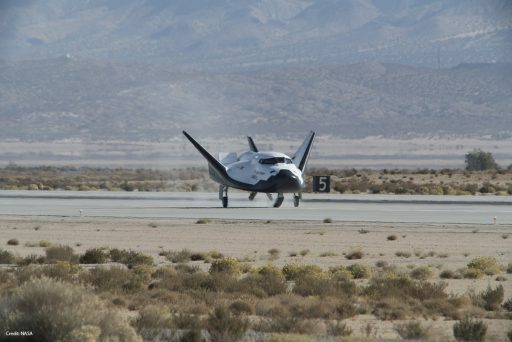 A repeat Approach and Landing Test was not deemed necessary by NASA, but Sierra Nevada decided to repeat all test phases of Dream Chaser a second time, including the ALT to reach a more mature state of all on-board systems for flight certification. After the landing incident, the ETA was refurbished at SNC’s Colorado facility and completed a number of demonstrations in the area of flight processing, steps that have to be well established for the flight articles. 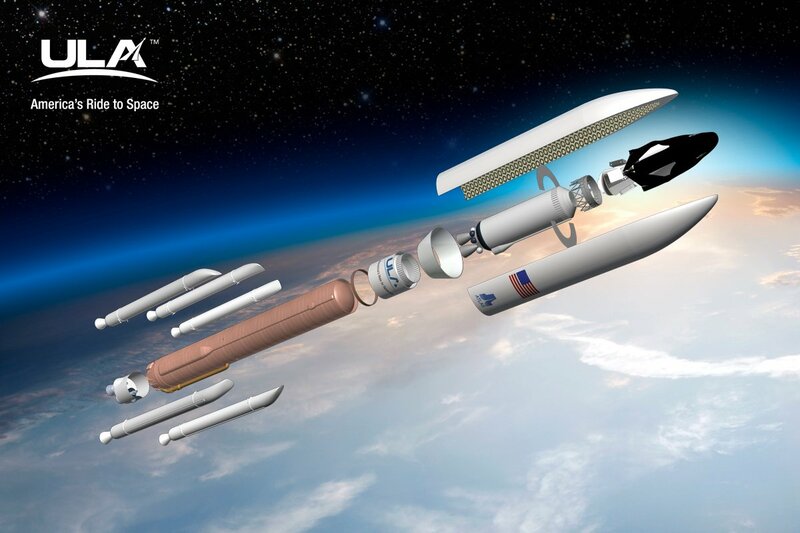 While recovering from the ALT-1 mishap, Sierra Nevada received a much more severe blow when NASA announced in 2014 the decision to opt for Boeing’s Starliner and the SpaceX Dragon as Commercial Crew providers, ending funding for Dream Chaser’s development for crewed missions to ISS. Despite the setback and its financial consequences, SNC decided to keep moving ahead under a non-funded Space Act Agreement with NASA calling for the exchange of technical information and non-financial support for Dream Chaser’s development. 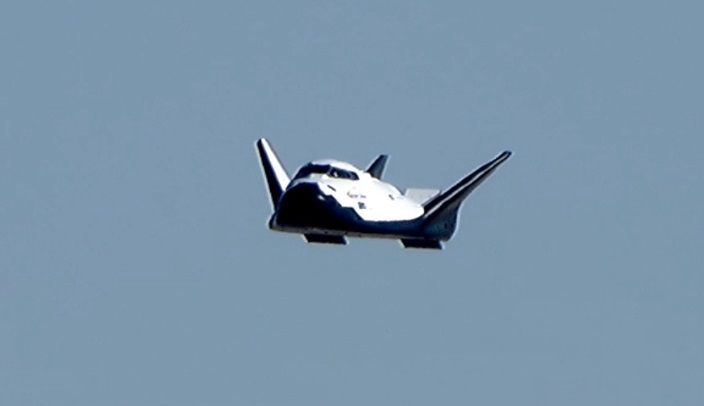 The end of Dream Chaser’s run as Commercial Crew contender proved to be a blessing in disguise in that is reinvigorated Sierra Nevada’s drive to broaden the craft’s capabilities as a free-flying laboratory and cargo craft capable of delivering and returning items from orbit. As part of the bid for NASA’s cargo program, Dream Chaser received two major design upgrades – an ability to fold its wings to fit within a five-meter payload fairing, making the vehicle compatible with various commercial launch vehicles, and an add-on cargo module that can maximize the craft’s cargo capabilities for upmass and enable it to carry external cargo. This, in combination with the craft’s return capability via runway landing, made it a strong candidate for ISS cargo missions. The company’s perseverance was rewarded in 2016 when NASA added Sierra Nevada to the roster for the second round of Commercial Resupply Services, joining SpaceX and Orbital ATK to handle the Space Station’s cargo needs in the first half of the next decade. The ETA returned to Edwards Air Force Base in January 2017 and completed a series of tow tests with increasing speed to validate the craft’s ability to keep to the runway centerline and brake to a complete stop. 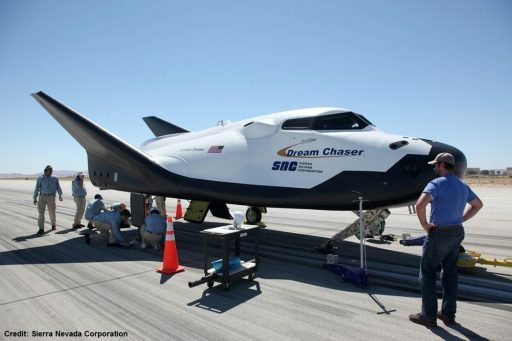 Dream Chaser then upgraded to a pair of Captive Carry Tests in September to fully evaluate the vehicle’s aerodynamic behavior and navigation system performance at air speeds exceeding 200 Kilometers per hour before allowing Dream Chaser to enjoy the free flight environment once more. Between the 2013 and 2017 tests, a number of systems have changed on the Dream Chaser ETA including the main gear that is more advanced than that flown on the first test and is closer to the flight hardware. 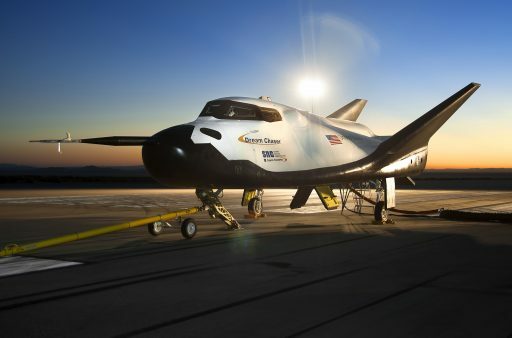 The ETA was also flying with upgraded space-rated avionics and flight software that will be used on operational Dream Chaser missions to the Space Station. Saturday’s Approach to Landing Test, like the second Captive Carry Test, was not announced in advance by Sierra Nevada. 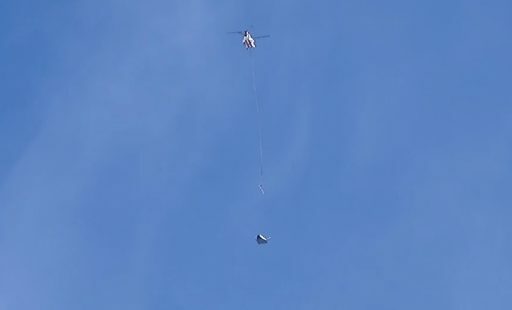 The test used a 234-UT lifting helicopter, the commercial version of the CH-47 Chinook, to take Dream Chaser into the air for a final set of verifications before the big moment. 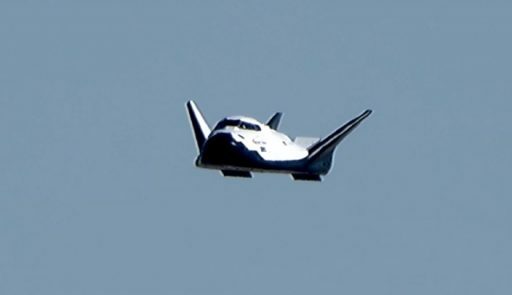 Dream Chaser was dropped from an altitude of 3,700 meters for a sixty-second free flight. About a quarter of the length of a Space Shuttle, Dream Chaser initially went into a steep dive to build up sufficient speed to enter a realistic glide path to the runway with the craft’s aerosurfaces in charge of controlling the descent, going through a series of maneuvers to correct an intentional misalignment and properly line up with the centerline on Runway 22L. Dream Chaser reached a top speed of 531 Kilometers per hour before entering its glide path. The automated controls flared the nose up when reaching the runway threshold at an altitude of just over 120 meters. 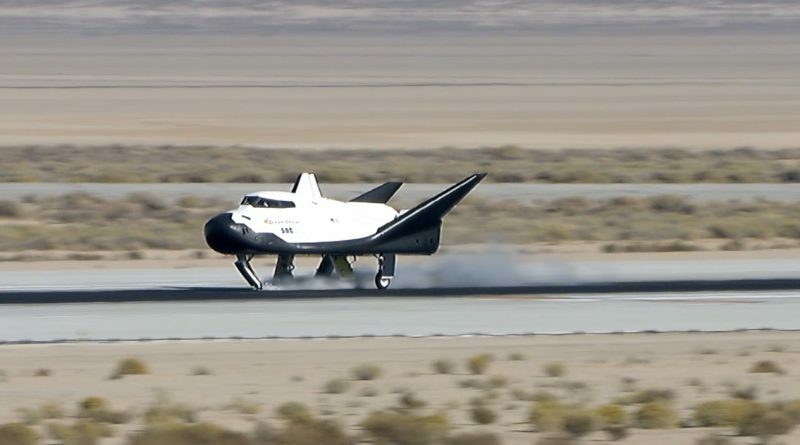 The nose skid and main gear deployed without problems and Dream Chaser came in for a greased landing right on the centerline, rolling to a full stop to finally complete what it set out to do four years ago. With this major milestone now out of the way, Sierra Nevada can move on to bigger things – taking Dream Chaser to space. Under NASA’s Commercial Resupply Services 2 contract, Dream Chaser is guaranteed at least six supply missions to the International Space Station, representing a contract value of more than $1 billion, though official figures have not been disclosed. Dream Chaser has also been booked by the United Nations Office for Outer Space Affairs (UNOOSA) for a 2021 free-flight mission to conduct experiments provided by UN member states and interest in Dream Chaser has also been expressed by the European and Canadian Space Agencies. The UNOOSA mission plans to fly Dream Chaser in Low Earth Orbit for around two weeks to perform around thirty experiments, offering member nations without access to space an opportunity for carrying out world-class research in the unique microgravity environment. UNOOSA put out a “Call for Interest for Dream Chaser Spacecraft Mission Payloads” in September to solicit proposals for experiments suitable for the mission. The mission is open to all member states; however, UNOOSA particularly encourages developing countries to participate in the project so long their experiments further the UN’s Sustainable Development Goals. 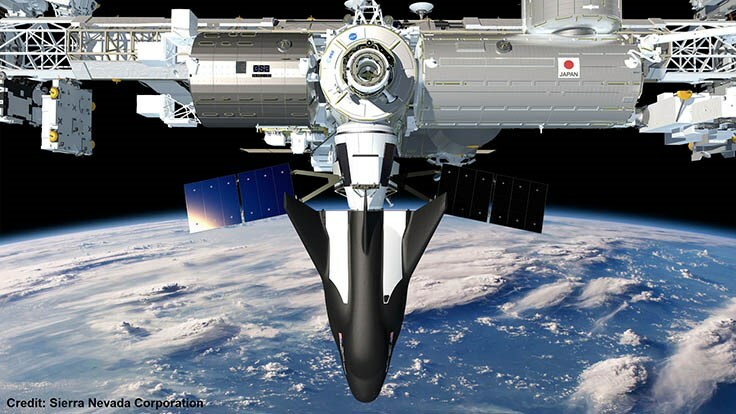 The European Space Agency has begun studies for using Dream Chaser to provide access to space for European research experiments after the end of the International Space Station in the second half of the 2020s. Sierra Nevada signed a Memorandum of Understanding with the Canadian Space Agency just recently to explore Dream Chaser for future CSA missions that could bring benefits for both parties given Canada’s expertise in space-based robotics that could broaden Dream Chaser’s operational envelope. Dream Chaser, weighing around 18 metric tons, will utilize the Atlas V 552 launch vehicle – the most powerful version of the workhorse launcher, featuring five Solid Rocket Boosters, a Centaur Upper Stage with two RL-10 engines for maximum push into Low Earth Orbit and a five-diameter payload fairing to enshroud Dream Chaser and its expendable cargo module during the atmospheric flight phase. When flying in a cargo configuration, Dream Chaser will carry 3,250kg of supplies in its aft cargo module and 1,750kg aboard the spacecraft itself, plus up to 500kg mounted externally. The expendable container, featuring the docking interface with ISS, would drop away from Dream Chaser prior to re-entry and burn up in the atmosphere with the Station’s trash while the spacecraft carries up to 1,750kg of downmass to a gentle touchdown at the Kennedy Space Center’s Shuttle Landing Facility. One of Dream Chaser’s biggest selling points is its low-G re-entry environment with peak G-forces not exceeding 1.5 Gs which is relevant for a number of scientific studies to be deployed to ISS.